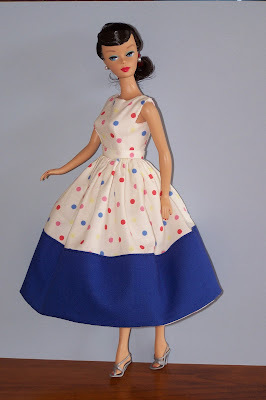 I bought my reproduction Ponytail Swirl Barbie doll without an outfit, and as I had made a new costume for my 1950's doll, I thought Barbie deserved one too. I had been getting a lot of those sideways looks from Barbie lately, so I thought I had better get moving. So much for sewing for myself. I made the bodice according to the pattern using the contrast fabric, but it frayed like mad around the armholes, so I made it up again without the contrast. I lined it using white muslin and made up a belt in the same spot fabric. 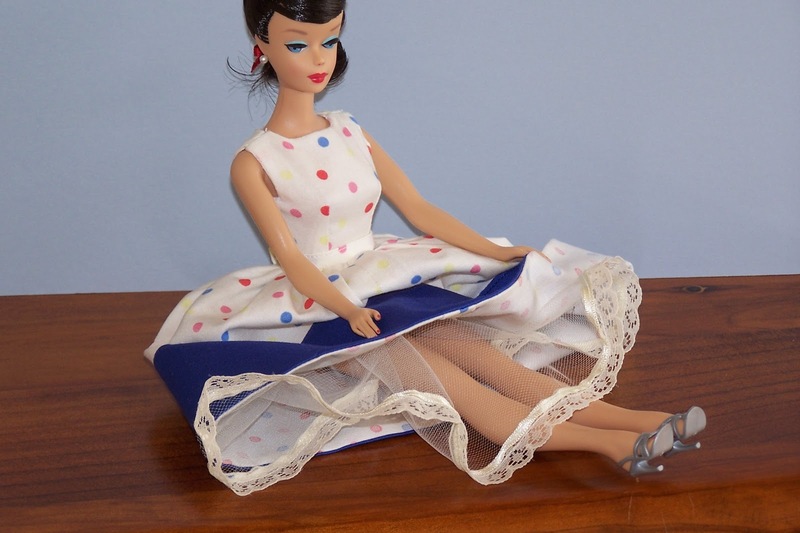 The dress I made for my 1950's doll was huge in the bodice area, however the bodice on this one was too small around the waist. From the pattern covers, they both look as though they were made for the same doll. The skirt was a little too full, so I would advise on taking out some of the width so that it is easier to attach to the bodice piece. A big thank you to the expert doll maker Elaine over at McNally School blog for signing up as a Follower to my blog. Her dolls are amazing and inspire me to make some more. Make sure you go and have a look at her beautiful dolls. It is great to make a connection with someone so far away over a shared interest. 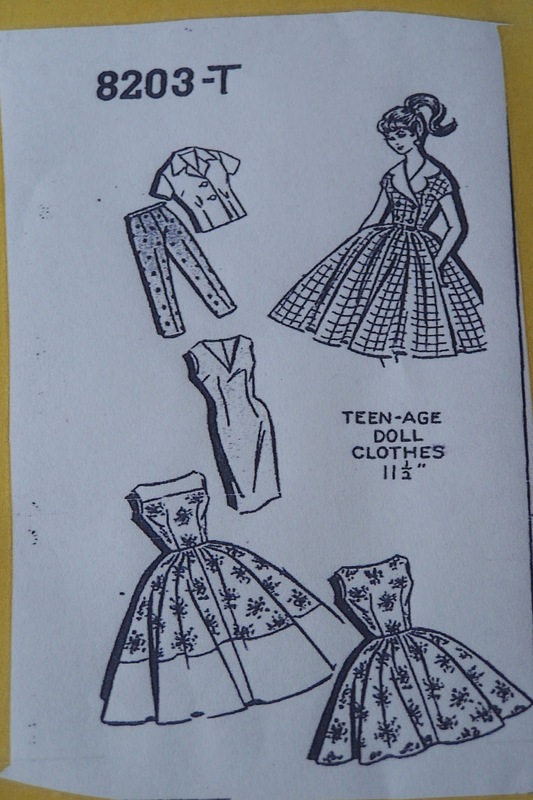 It is a boiling hot day here in Melbourne (40 degrees has been promised), so I am going to spend some time today selecting fabrics to make up 2 very simple cloth dolls. 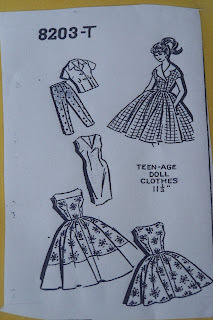 I would like to make one look old, so I am going to try tea dyeing the body and clothing fabric. I have not done this before, so it will be interesting to see how it turns out. The second doll I would like to make a lot brighter and modern, and maybe use some gorgeous wool felt I have. Actually, I might make both look old. I will have to play around with my extensive craft fabric stash, and see what I come up with! 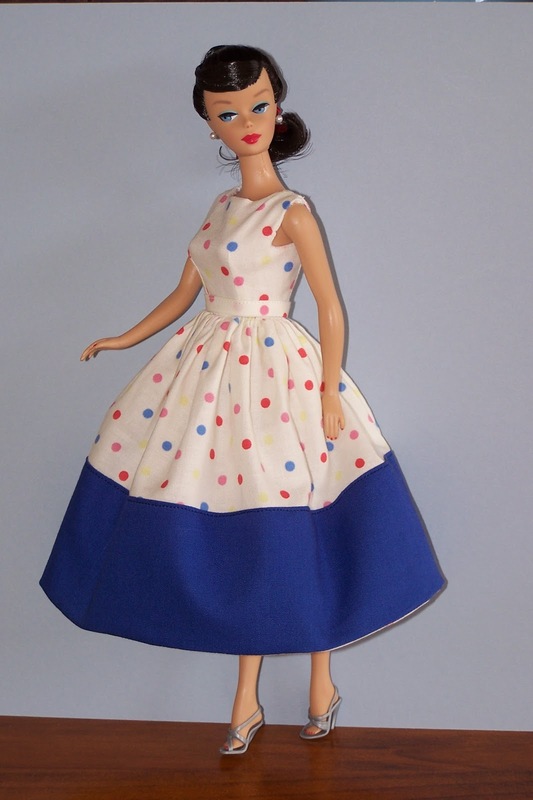 I really should be making Burda jacket 7814 for myself, but I really feel like creating a doll so I will do that next. 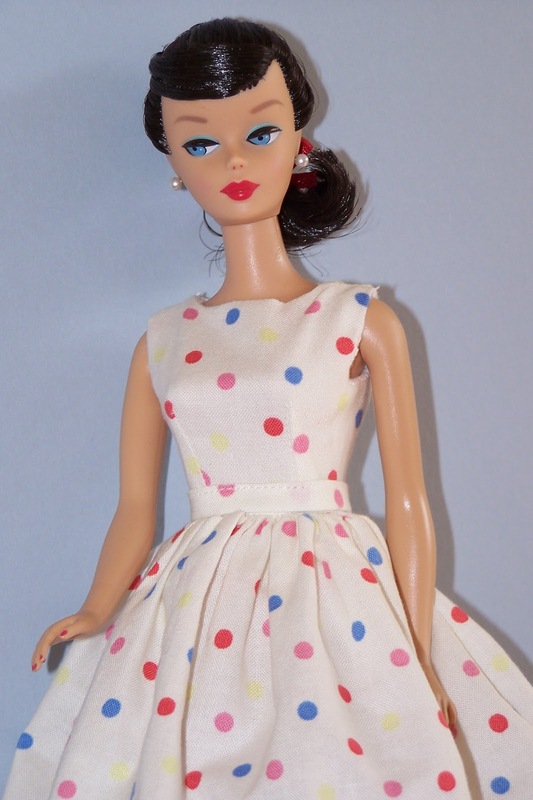 That's a fantastic little doll dress! Dolls! Mary Poppins Show and Doll. New Look Jacket 6619, Finished At Last!